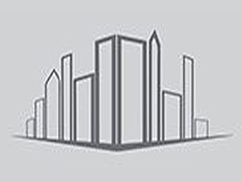 Tecta America Architectural Metals resides in Glen Rock, Pennsylvania under the Tecta America East LLC business unit which is six regional roofing operating units in PA, MD & GA. Architectural Metals serves the mid-Atlantic commercial construction region with facade installations using high-end architectural metal building products and wall systems on new and existing construction projects. From inception, in the fall of 2012 Architectural Metals has grown from modest beginnings to a full-service commercial facade subcontractor with experienced project management, design, drafting and dedicated, professional installation crews. We also team up with our roofing partners to provide both facade and roofing installations. 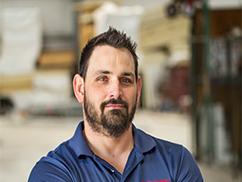 Brian has been in the industry since 1995 and joined Architectural Metals in 2012. He oversees business development, marketing, sales/estimating, engineering and operations. 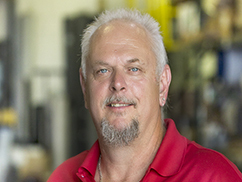 Rick has been in the industry since 1982 and joined Architectural Metals in 2016 He is responsible for construction logistics, design, the project set up, management the Superintendent. 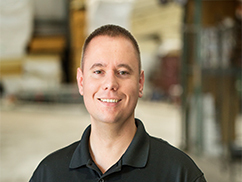 Corey has been in the industry since 2000 and joined Architectural Metals in 2015. He is responsible for the project set up, project management and the superintendent role. Markus has been in the industry and with Architectural Metals since 2014. He is responsible for the project set up, submittal and the superintendent. 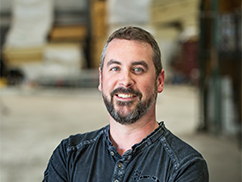 Pat joined the industry in 2013 and Architectural Metals in 2016. He is responsible for quantity surveys, estimating and sales. Alex has been in the industry and with Architectural Metals since 2016. He is responsible for show drawing development, drafting and fabrication releases. 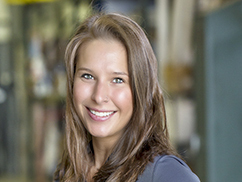 Bethany has been in the industry since 2014 and joined Architectural Metals in 2016. She is responsible for keeping the office running smoothly and ensuring the schedule is updated. 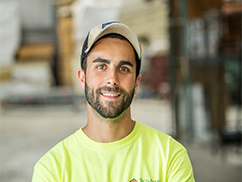 Dylan has been in the industry since 2017 and joined Architectural Metals in 2018. He is responsible for logistics, assisting project management, rigging and crane operating.